Thanks to a collaboration between Todd Oldham and The Land of Nod. 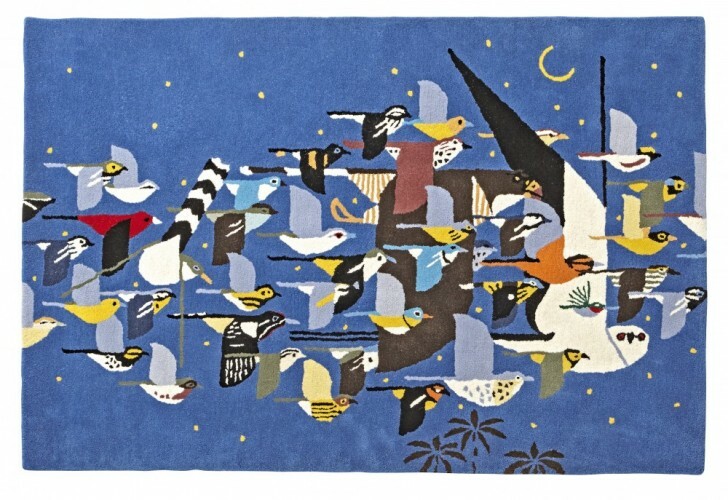 The pairing of Charley Harper’s modern illustrations with mod kid-good purveyor The Land of Nod is as natural a match as peanut butter and jelly. 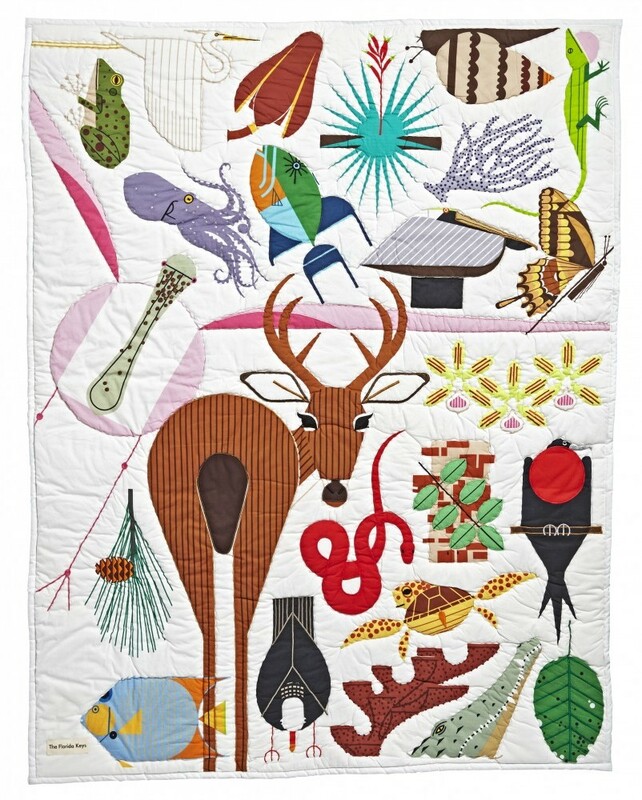 The collection of quilts, bedding, rugs, and pillows debuts on The Land of Nod website on March 29 and features some of Harper’s iconic animal images of ladybugs, raccoons, and tigers. 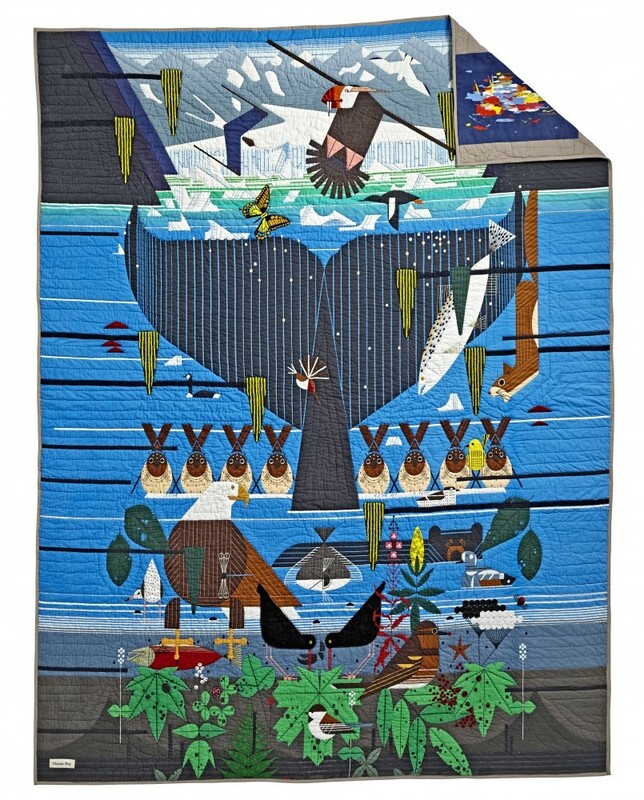 The Glacier Bay bedding set is such a happy riot of fauna that you may be tempted to trade in your California king for a snooze amid these cozy covers. 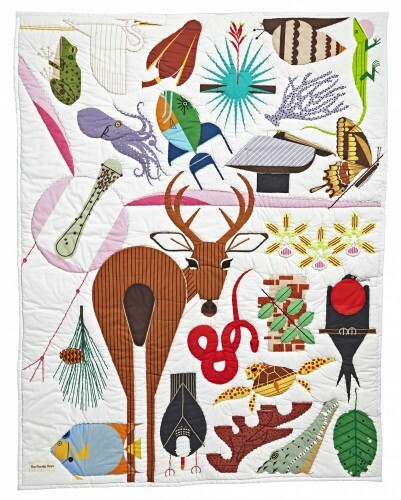 Todd Oldham’s love for artist Charley Harper’s work is well documented. 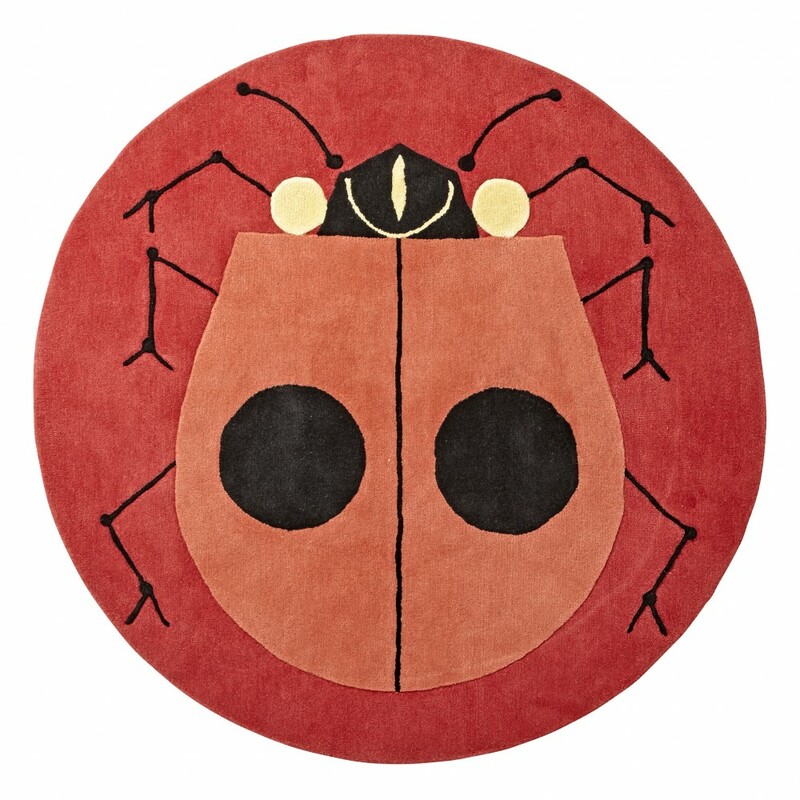 He rediscovered Harper’s singular style in 2001 and became an avid collector. He also worked with Harper, his wife Edie, and son Brett to produce the definitive compendium of his work, Charley Harper: An Illustrated Life, which Oldham presented to Harper, in person, just before Harper’s death in 2007. “I’m thrilled that young kids today can grow up with his wonderful influence,” says Oldham. 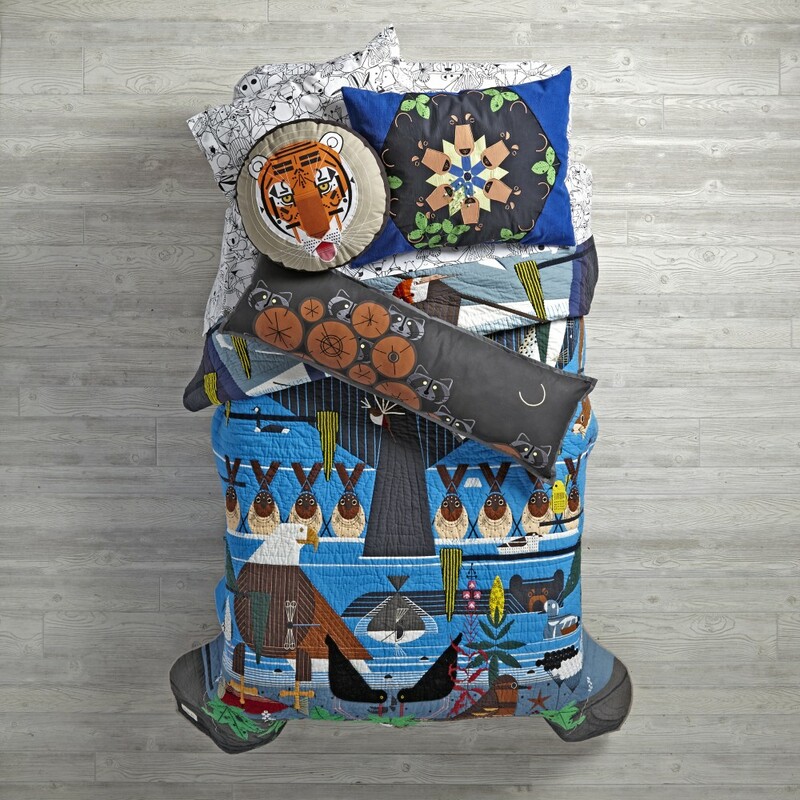 To celebrate the launch, The Land of Nod has arranged a tour of the collection that will travel in a school bus bedecked with Harper graphics, including a giant raccoon image on top. 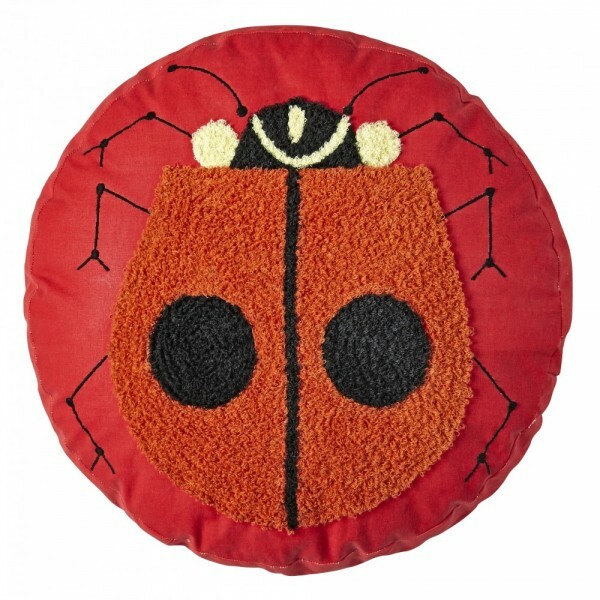 “It’s not a shopping experience, but kids will be able to interact creatively with Charley’s artwork—like coloring a hat shaped like a cardinal drawn by Charley,” says Michelle Kohanzo, Land of Nod’s managing director. The tour starts April 9 at the Cincinnati Zoo & Botanical Garden from 9 a.m. to 5 p.m., and moves to the Krohn Conservatory on April 10 from 10 a.m.–5 p.m.
Kohanzo got a tour of Oldham’s studio when she was introduced to him by a friend. “Charley’s work was everywhere,” she recalls, and the collection developed from there. 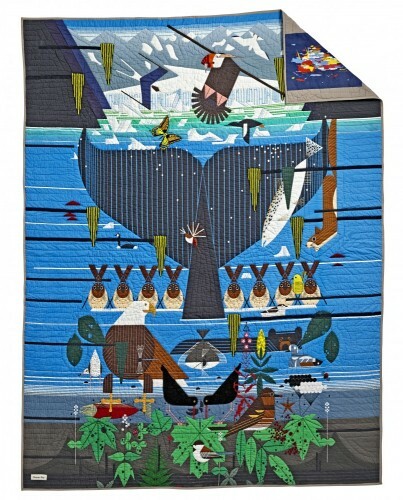 Oldham, who has continued to spread the Harper gospel through prior collaborations (glasses, coasters, trays, and other tabletop items are available locally through Fabulous Frames and Art) sees children as uniquely receptive to Harper’s work. “Kids can appreciate and understand something that’s beautifully designed as much as adults,” he says.